Dagli archivi della Gong Appreciation Society esce un'importante versione alternativa del primo album solista di Daevid Allen, Bananamoon (1971), con i brani della scaletta ufficiale proposti con missaggio e prospettiva sonora differenti, e molti altri materiali inediti sperimentali e preparatori provenienti dalle stesse sessioni da cui nacque l'album. Il titolo del doppio cd è Stoned Innocent Frankenstein, dal nome del lato B dell'antica edizione in vinile: "Illuminating and revealing would be ideal terms to describe these recordings - si annuncia con orgoglio in casa GAS - CD 1 follows the order of the original Bananamoon album using alternative versions and alternative mixes, none of of which have been available before, in fact until the tape was unearthed in Daevid's collection I don't think they had been heard by anyone for more than 25 years. Each track brings a new, fresh perspective. The first disc alone would be an notable and intriguing Planet Gong archive release event, but there's disc 2 as well. 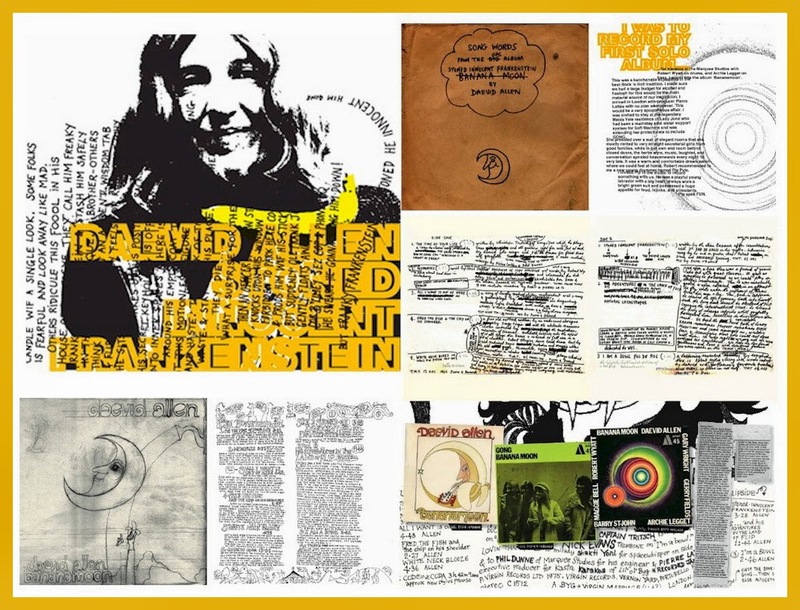 The second CD will obviously directly appeal to the more seasoned Gong/Daevid Allen sonic co-traveller, consisting as it does of some deep tape-loopery and 3 different slices of the title track, one of the most out there, but oddly honest tracks daevid ever recorded. Actually there are enough juicy, innovative sections for anyone with an inquiring musical mind to enjoy, not just deep Gongsters and staunch Allenites." A quelle sessioni - che, com'è noto, segnarono il primo incontro di David Allen con Pip Pyle, e anche con Tim Blake - presero parte a vario titolo anche Christian Tritsch, Archie Leggett, Robert Wyatt, Gerry Fields, Gary Wright, Gilli Smyth, Maggie Bell e Barry St John.